The next big frontier for the smart home? Presence. I really want to build a connected home recipe that blinks the lights in whatever room I’m in when my husband texts me. But so far, fine-grained presence is one of the missing triggers in my slew of smart home products. However, I may not have long to wait. But how about going a step further. How about using our smartphones to tell which room we’re in, not just which house. What we need is more than just geofencing, we need a high resolution ‘interior GPS’ for some indoor mapping. The article notes that Android(s goog) handsets had been relying on NFC to provide this short-range communication while Apple’s(s aapl) iBeacons use wider-ranging Bluetooth Low Energy (Bluetooth Smart). Ideally we could get to a standard protocol so I only need one true presence sensor in every room. Reely Active is also trying to build such functionality, although using active RFID. However, the benefits of such fine-tuned presence in the smart home or office are enormous. Not only could you stop having to trigger the motion detectors in conference rooms and bathrooms by waving your hands in the air, but the building would have much more context with which to base its decisions about when to turn on lights, lower the temperature or even what channels might be viewed on the TV. Picking an open protocol with which to build this capability is equally important. Then it would work even if we switched handsets or wanted to tie it to our existing home infrastructure. Plus, services like IFTTT could incorporate it into their triggers so novices you trigger web actions when they physically move through the world. I already can trigger so many actions based on motion, temperature, humidity, cabinets opening and even more by general presence (my office light blinks when my husband enters our Wi-Fi network) so just imagine when we can add fine-grained presence to the list. Of course, since many of the fine-grained presence tools are currently built into handsets, and the reason I need my lights to blink when my husband texts is be because I don’t carry my phone everywhere, this might not actually help me achieve my dream recipe. But it’s a start, and you have to start somewhere. it is very best idea to keep eye on our house through our smart phones. Smart home technology has improved very much. It there are very few chances of system error, like few years ago this technology was no so successful. If George Orwell could see us now. Having more granularity with items like iBeacons in my eyes is the key to creating smarter and smarter homes. I have to agree the majority of homes are very dumb at the moment, but we do not have to simply accept this. There have to be people pushing the boundaries, otherwise we would not have central looking for cars either… Homes will catch up. This is exactly what I’m doing in my smart home already using a combination of in-room sensors, door contact sensors, Bluetooth and devices detected on my home LAN. Apple’s iBeacons will add granularity but my home already knows who is in it. 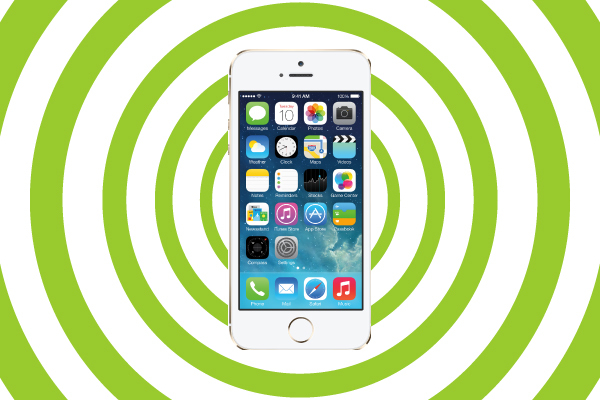 iBeacons will be fooled by devices that are left on and left at home. We have had to take a hybrid technology approach to make this work well. That’s where support for $20 active RFID tags or wearables based on BLE or proprietary wireless technology comes in handy. Even the family pet can be located just as accurately. Given the fact that real-time location systems struggle to achieve significant penetration even in the markets for which they could have the greatest impact (logistics, hospitals, etc. ), it seems unlikely that they’ll see early success in the home. And, to H. Murchison’s point, there’s little priority placed on selling smart-ready homes. Smart home enthusiasts could install beacons or our system to achieve finer-grained location precision, but it’s hard to imagine this becoming common practice anytime soon. However, if connected-home products shipped with beacon functionality, penetration rates would be much higher. Imagine your connected thermostat and connected lights acting themselves as beacons so that your smartphone becomes location-aware within the home (assuming you explicitly associate each device with a room/location). Our (longer-term) vision for the home is that both connected devices and wearables (which you’re more likely to have on you at all times than the smartphone) will be uniquely identifiable and locatable by fixed infrastructure. Then the context of who/what is present at any given location is consolidated in real-time so that everything can respond appropriately. The lights, thermostat, consumer electronics, etc. will know about each other and those present so that they may collaborate to create environments suited to the preferences of the current occupants of a space. That understanding of the physical world is the Internet of Things. The scary thing though is that today’s home is actually getting dumber and not smarter. If you tour new construction you may not even see a home wired with RJ11 let alone RJ45. Sure consumers don’t think they need it because they’ve been sold a bill of goods on Wifi performance which is dreadful unless you buy Enterprise class hardware which then puts you into barely adequate territory. Today’s home consumer cares more about silly stuff like Granite countertops and Stainless steel appliances than making their home truly smarter. It’s going to be an uphill battle IMO. I totally agree, that’s indeed what we’re witnessing. On the other hand, this occurs for only one reason: while nowadays you couldn’t sell a house without electricity and water, you can very well sell it (or rent it) without good network connectivity. Therefore landlords and real estate developers are not motivated to care about it. Perhaps next generation will ask first about the kind of network connectivity available in a house, before other considerations, and then real estate people will take care of it. That’s what I do, and I suprize them when I reject their very nice apartments for lack of connectivity. Not next generation .. I already ask that to the landlord- about what kind of network pipes available. There was an idea that was discussed on Firespotting recently around notifications. If you extend that to hardware in the house, it is the mix that you have described.